Earlier this year, we watched a television program about the Dordogne region in France. A few days later I walked into a secondhand bookstore in Bern, and, for some reason, the spine of this book caught my attention. I was completely shocked to read the word Dordogne on the front cover, so I bought it, thinking it must be a sign. 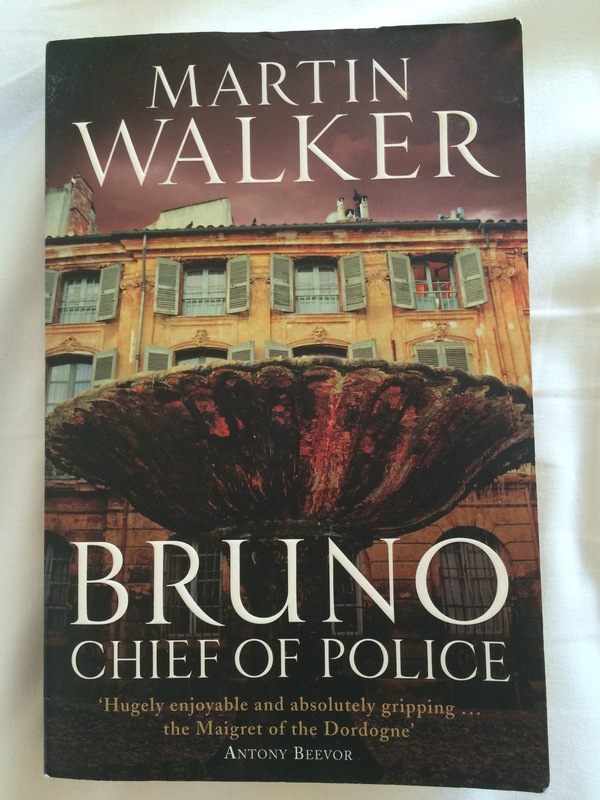 Bruno, Chief of Police by former journalist Martin Walker, from 2008, is the first in the Bruno series, which currently stands at nine. Definitely in the same vein as Andrea Camilleri’s Inspector Montalbano books, Benoît Courrèges, or Bruno, is the suave but unpretentious 40-something policeman in rural St Denis, where everyone knows everyone (and their business). As a former soldier, he prefers his new quiet life, cooking with local produce (there are many references to the delights from the Perigord region), pottering in his renovated cottage with his dog and making wine from his small vineyard. The scene is set for something ‘not quite right’ happening in this sleepy town. When the father of the local school teacher (and grandfather of the local rugby hero) is murdered in his own home, the big guns from Paris are sent to help investigate. Bruno’s first murder case isn’t all that it seems. The twist in the storyline took me by surprise – is everyone really who they say they are? Bruno, Chief of Police had all the right ingredients for an enjoyable holiday read (I was lying under a beach umbrella in Taormina, Sicily) – a little bit of mystery, intrigue, romance, village politics, historical references and culinary teasers. It’s very well researched and tells a part of French history I had no idea about. Overall, I really enjoyed the various characters who contributed to this being a memorable book with a very satisfactory ending. Sometimes secrets are best kept so. You got me. I have bought for the Kindle – interestingly the library does not have this one which is the first in a series of about ten. So if you want more they are out there. Have ordered some others from the library.